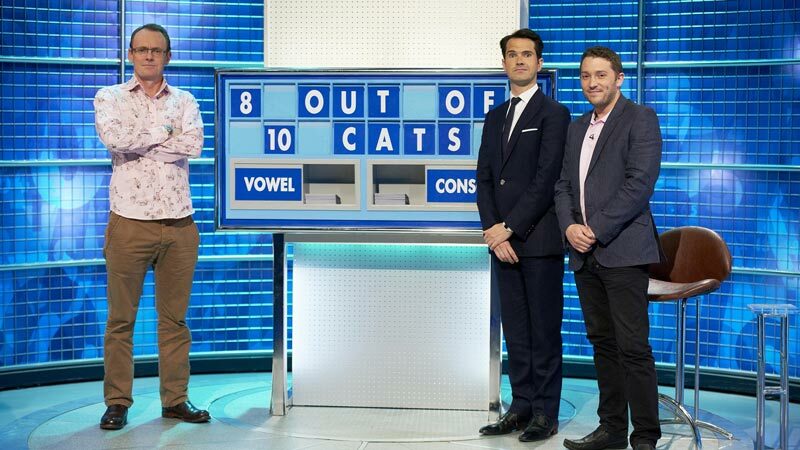 8 Out of 10 Cats Does Countdown was first aired on 2nd January 2012 as part of Channel 4’s “mash-up night” to celebrate its 30th birthday. Combining two of Britain's best loved but very different shows proved so successful that it was commissioned as a series that has been filmed at dock10 since 2013. The show is hosted by Jimmy Carr, supported by Rachel Riley and Susie Dent showing off their usual Countdown talents. The two teams, headed by Sean Lock and Jon Richardson, pit their wits against the quiz show’s familiar letters, numbers and conundrum rounds, but fused with a heavy dash of humour. It's certainly an audience-pleaser at dock10.